Blogging is all the buzz these days and with good reason. Not only is blogging easy, but some of the most successful websites on the internet these days are blogs. If you’ve already launched your blog, you’ve already discovered that your blog did make it EASY to get content onto the web. But you also discovered there’s more to blogging than meets the eye. While blogging is easy, creating a successful blog is HARD. Many blogs are quickly abandoned because their owners get frustrated trying to learn all there is to learn about blogging. 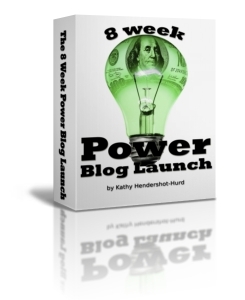 The 8 Week Power Blog Launch will provide the corner pieces you need to begin assembling your own successful blog. When you launched your blog, it was probably because you got caught up in the “buzz” about blogging. You’ve probably heard about how some blogs seem to have magic Search Engine Attraction powers which catapults articles posted to blogs straight to the top of the search engine results. You can stumble along – and try to pick up the pieces as you go along. Or, you can take this short cut. Pick up the 8 Week Power Blog Launch and you’ll get the 238 page ebook with 56 daily lessons PLUS you can also choose to enroll in an 8 week autoresponder “reminder” program to help reinforce your blogging lessons and encourage you to apply each action step to your blog. The one man blog Bankaholic sold for $15,000,000!!!! Yes, the zero key didn’t stick on my keyboard. That blog sold for $15 MILLION dollars less than 2 years after launch!. While that figure is above average, it’s just one example of how VALUABLE a successful blog can be. Bloggers across the internet have been offered tens of thousands of dollars for even moderately “successful” blogs. A blog you’ve probably never heard of recently sold at auction for $65,000. That may seem like a lot of money until you realize how MUCH money a successful blog can generate. One successful blogger is reporting that she made $12, 246 in a single day as a result of a product she promoted via her blog. Another blogger reports that he earns $33,359 a month from his blog. 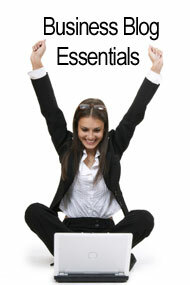 The 8 Week Power Blog Launch Course is now offered exclusively to Acumen Web Services hosting and development clients.